If you are in Canada, but not a citizen and you cannot get a passport from your home country, you either need a Refugee Travel Document and a Certificate of Identity to travel outside of Canada. You are not a refugee and thus do not have protected person status. You cannot obtain a passport from your country of birth for valid reasons, or you are stateless, meaning you are not a citizen of any country. You have obtained permanent residence in Canada having legally landed in the country. You are a person in need of protection, which basically means you may also have protected person status. What these two sets of lists do is help you determine which document you should be applying for. 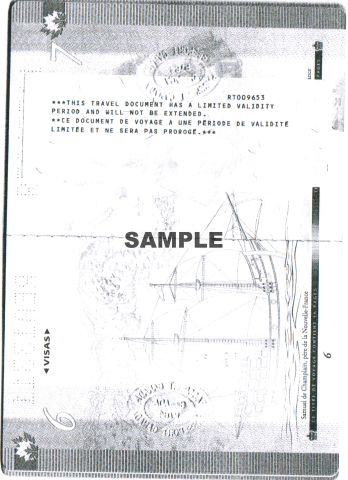 They do not guarantee you that you will receive your travel document. 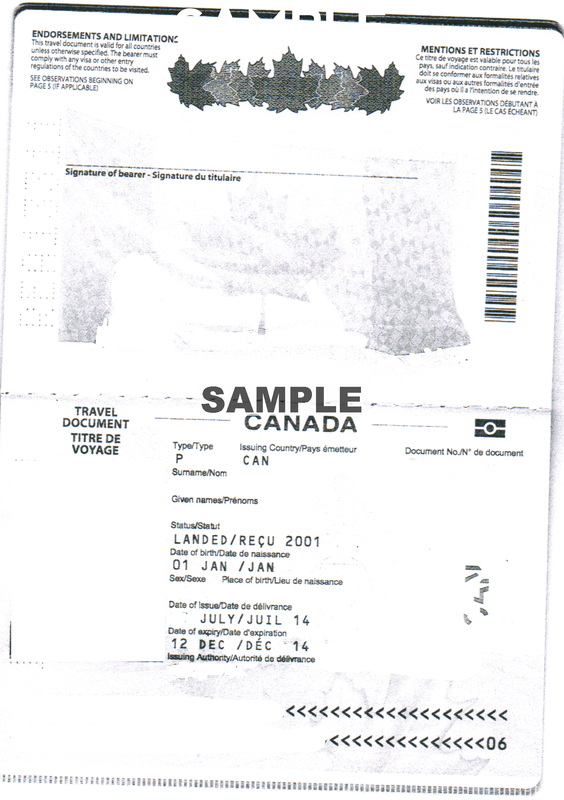 That is up to Passport Canada, an agency supervised by Immigration, Refugees and Citizenship Canada, or IRCC. And the relationship between the Immigration Refugee Board and Immigration, Refugees and Citizenship Canada can sometimes be a less than smooth one. Essentially, IRCC seems to be of the opinion that the IRB is not always strict enough when screening applicants for refugee status. That can put anyone who has received refugee status from the IRB in a vulnerable position if the IRCC deems that their refugee status is not valid. This is especially so when applying for a travel document because, as of July 2013, Passport Canada is now a part of IRCC, and Passport Canada is where you apply for your travel document. Technically speaking, it is an independent government agency, with bureaucratic oversight provided by IRCC. 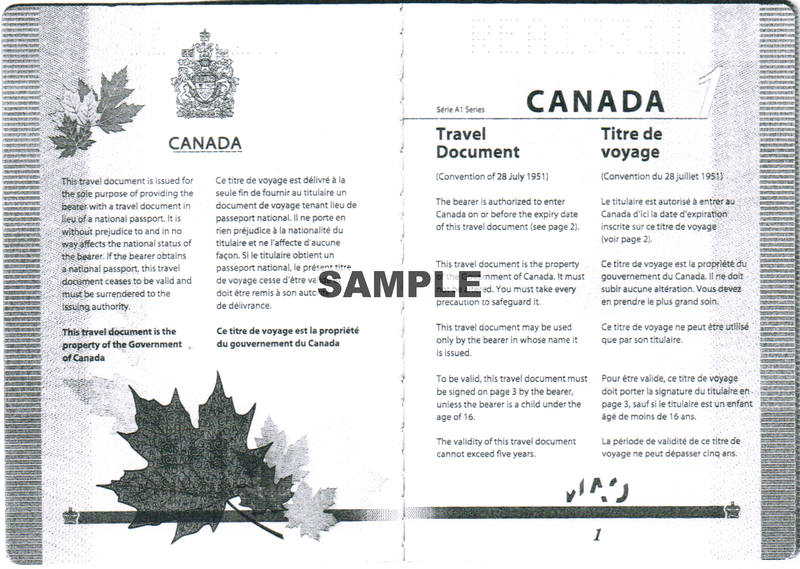 In other words, the final say on who gets a travel document depends on Immigration, Refugees and Citizenship Canada. This is a big change from the previous system where the Passport Office was run by External Affairs and did not focus as much on issues of status. 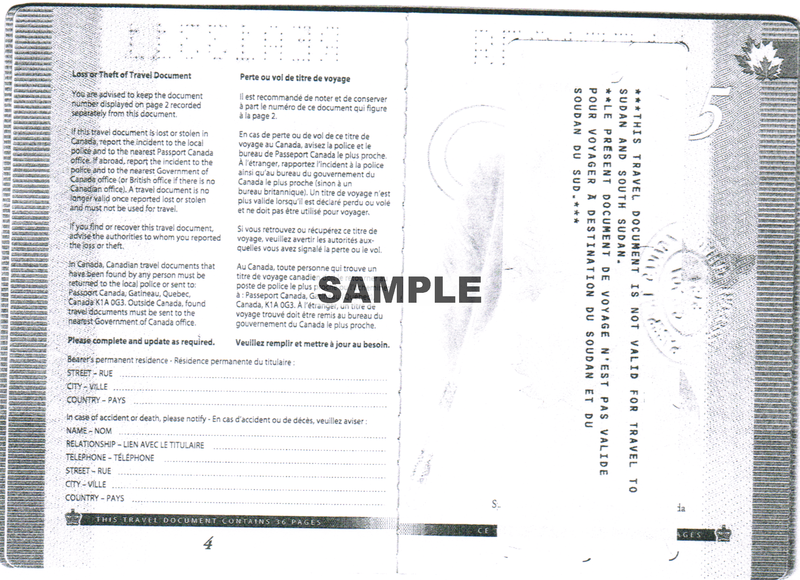 The Refugee Travel Document application is fairly straightforward in the sense that you are either a refugee with protected person status, or you are not. The Certificate of Identity, on the other hand, applies to that grey world of statelessness as well as to those who are unable to obtain a passport. Statelessness arises due to the conflicts between the rules of citizenship across different countries around the globe. What may qualify someone to become a citizen of one country may not qualify that person in another country. It can get especially complicated when someone has parents who are not citizens of the country they are born in. Chloe Goldring was born to a Canadian father and Algerian mother in Belgium in 2009. But her father Ian Goldring was born in Bermuda to a Canadian father and so had acquired his citizenship by jus sanguinis – right of blood in latin – through his Canadian father who was working there at the time. That means that because of Bill C-37, Ian Goldring cannot pass on his Canadian citizenship through jus sanguinis. That right is now restricted to only one generation born abroad. Because Chloe was not born in Algeria and because only her mother, Yamina, is Algerian, Chloe could not claim Algerian citizenship either. And to top it all off, in Belgium there is only jus sanguinis and not jus solis – right of soil in latin – which means she was not eligible for Belgium citizenship either. It is a notable divide between the Americas and Europe that jus solis is absent in much of Europe while it predominates in almost all of the Americas who are far more generous with their citizenship rules. So Chloe Goldring became a living symbol of statelessness until IRCC, likely due to the media coverage, decided to give her Canadian citizenship about a year after her birth. Whether that sets a precedent for the stateless children of Canadian, or partially Canadian, couples remains to be seen. About the same time in 2009, Rachel Chandler was born in Beijing to a Canadian father, Patrick Chandler, and a Chinese mother, Fiona. Unfortunately for Rachel, Patrick was born in Libya to English teachers (he has followed in his parents footsteps and is also an English teacher). His father was born in Ireland and is a naturalized Canadian and Patrick’s mother is an American but with Canadian roots. That means Patrick could not pass on his Canadian citizenship, acquired by jus sanguinis, like his father was able to do when Patrick was born. And because they were not married when Rachel was born, she was not qualified to receive Chinese citizenship. China is very strict on family size limits and does not cast a favourable eye on out-of-wedlock births. That means Chandler was another stateless baby. In her case, her parents took advantage of Ireland’s citizenship laws, which allow jus sanguinis across several generations without having to be born in Ireland. That means that Rachel Chandler, thanks to her Irish-Canadian grandfather, is now the proud bearer of an Irish passport – a nice entry ticket into the EU as well, just in case she gets the wanderlust bug from dad. These two cases beg the question of who perhaps could be a stateless immigrant to Canada. An example, a sensitive one admittedly, is Palestinians. Canada does not recognize Palestine as an independent state and insists on direct negotiations with Israel as the only resolution to the long-standing Israel-Palestine dispute, and does not therefore recognize a Palestinian passport as an official document. 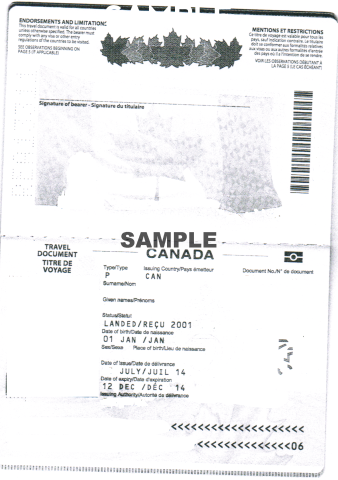 That means that Palestinians without Israeli travel documents are in effect stateless in Canada. That would mean as a Palestinian with permanent residence in Canada you would need to apply for a Certificate of Identity in order to travel abroad. That would mean, of course, that you did not claim refugee status, or your refugee claim was rejected and you were allowed to remain in Canada, and you are in the process of applying for citizenship. 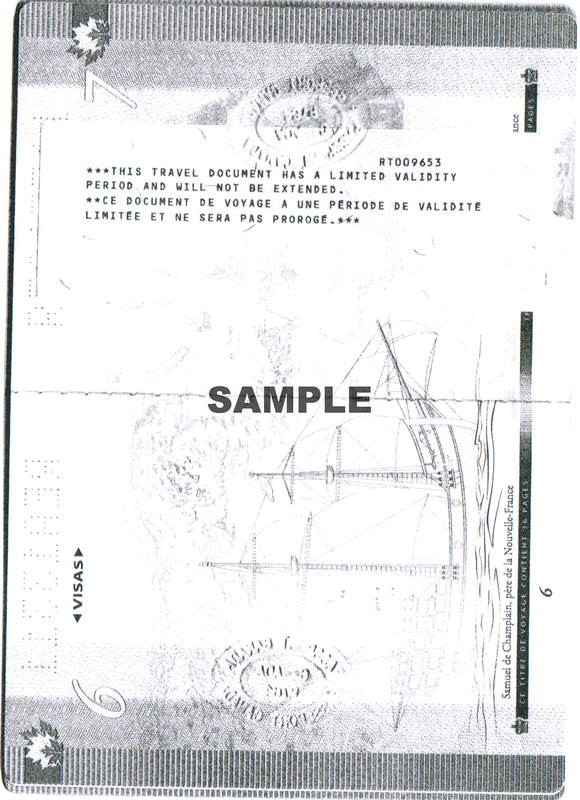 So if a person is legally in Canada and without a passport, as well as unable to obtain one, it is best to ascertain which type of travel document should be applied for in the case of needing to travel. As the world continues shrinking and people migrate in search of opportunities or to flee persecution, the status of stateless migrants and refugees will be an increasingly large challenge for both immigration officials and the very migrants themselves. That means applying for the right travel document is perhaps more important than ever before. 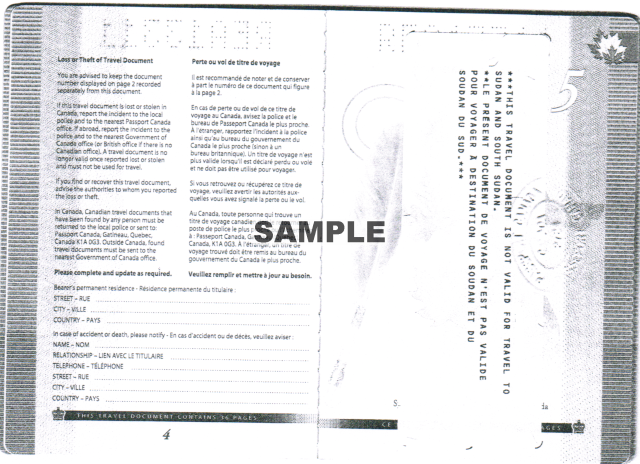 What is a Canadian Travel Document for a Refugee?